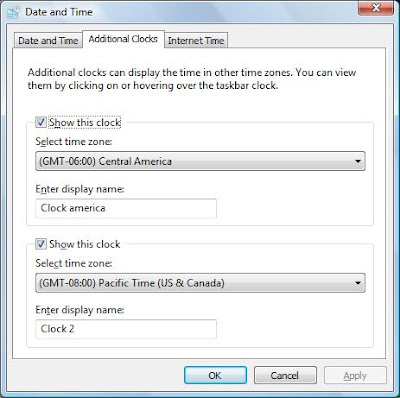 A useful feature in Windows Vista, especially for those users who wants to communicate regularly with people in different time zones. If you want to communicate with your co-workers or your family members in different time zones or you are traveling between different time zones then this tip is very useful for you. 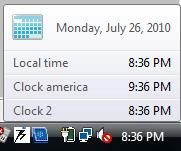 You can add clock of two different time zones in windows vista tasks bar. You can set three clocks (one default clock) in the tasks bar and each clock will show you time of different zones. Here you can view the time of three different zones when mousing over the clock in the taskbar. If you want to see it in enlarge view, double click on clock area. 1). First right click on the clock in taskbar then click on Adjust Date/Time option. 2). 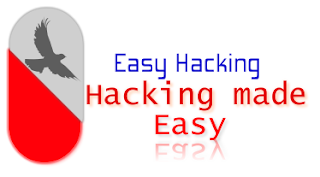 A window dialog box will appear with the title Date and Time Properties, select theAdditional Clocks tab. 3). Now check the box Show this clock for additional clock and using drop down menu, select your required time zone then enter display name. 4). Press Apply button to save these settings and then Ok button to finish .